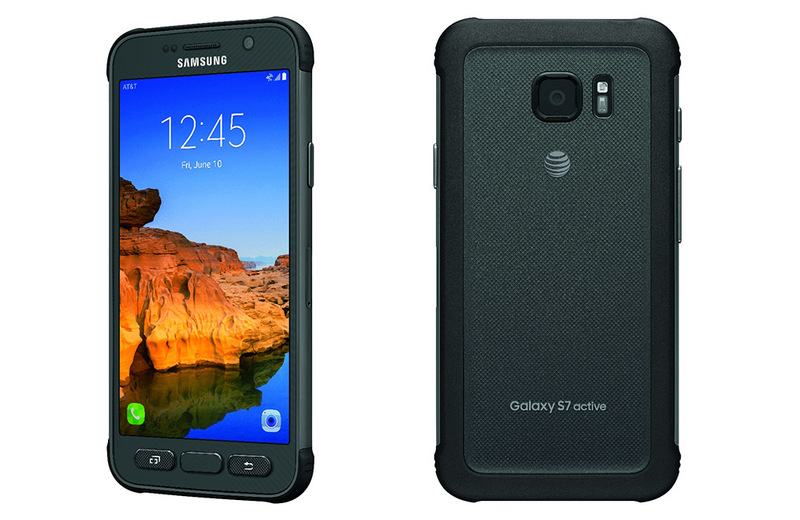 This morning, AT&T went ahead and unwrapped the newest version of their exclusive Active line, also known this year as the Samsung Galaxy S7 Active. The phone, as you should have expected, assuming you have any knowledge of previous models, is a lot like the standard Galaxy S7 only it has been toughened up to be able to withstand the elements. With the Galaxy S7 Active, you are looking at a phone with a 5.1-inch Quad HD Super AMOLED “shatter resistant” screen, Snapdragon 820 processor, 4GB RAM, rear 12MP Dual Pixel camera, front 5MP camera, 32GB storage with microSD support, and a whopping 4000mAh battery. It also has IP68 resistant to water and dust, Military Grade Body (MIL STD-810G), a customizable Active button (like previous Active phones), fingerprint reader, and access to Samsung Pay. Full specs here. Of course, the exterior is quite different from the original S7, but does look like a typical Active device. 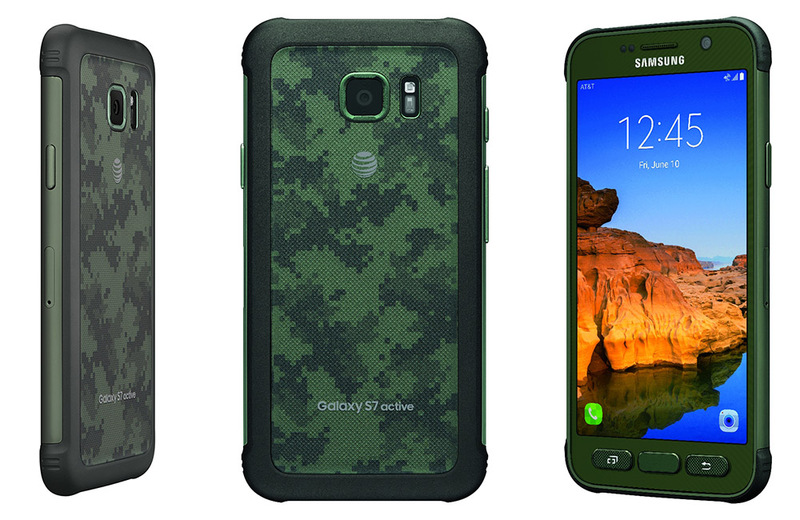 There are camo backs, “military grade” protection running around its outside (with temperature resistance too), a bumper-like system at all corners for absorbing impact during drops, and three physical buttons along the bottom, instead of the mixture of capacitive and physical like on the S7. 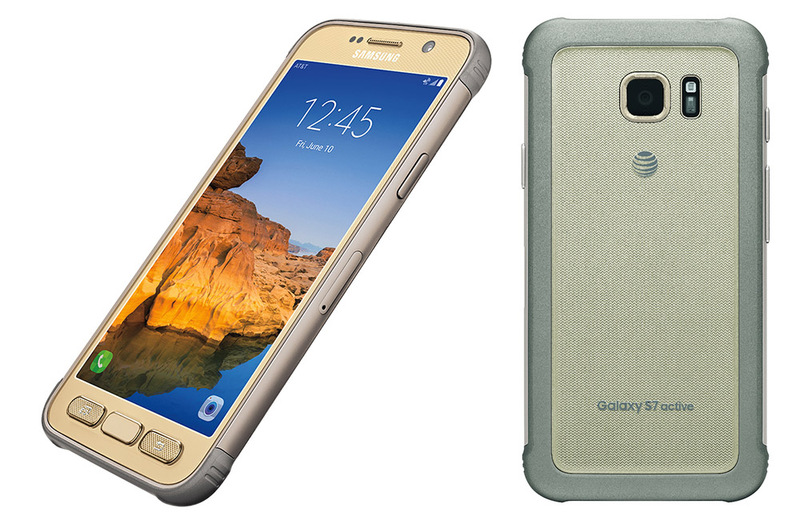 The Galaxy S7 Active arrives in Sandy Gold, Titanium Gray, and Camo Green on June 10 in stores and online and can be had for as little as $26.50 per month with AT&T Next (30 payments) or $33.13 per month with AT&T Next Every Year (24 payments). Once live on the 10th, you’ll be able to buy the Galaxy S7 Active at this link. We’ll have one in house shortly should you have any questions.